out through Bristol’s busy streets and beyond. 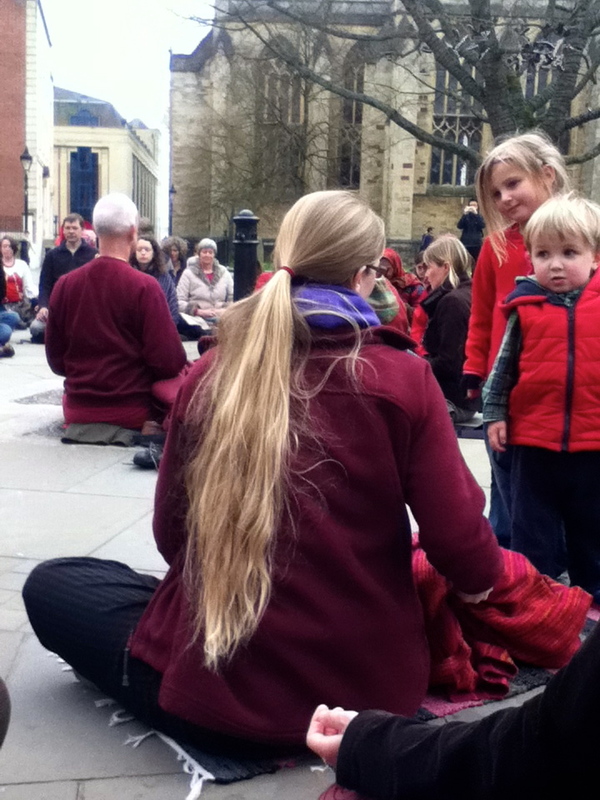 I just liked that the monk sat in front of me, the family by me (the pictures below), and all these different people were meditating for a better world. The busy Park Street and Anchor Road faded away into a hazy feeling of well-being and peace. Cheryl Kemp ~ Definitely Chonden. Judy Adams ~ Homage to them all. The Muddy Lotus ~ It was unbelievably cool Lisa ~ highly recommended. And of course! 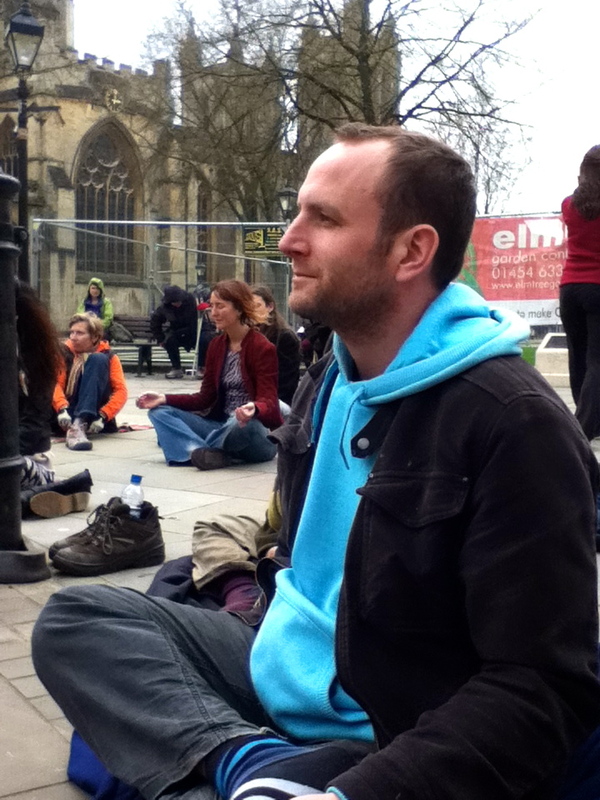 It was inspired by Tich Nhat Hanh, and you Phil, must’ve been with him in London. I rejoice, that must’ve been way amazing. I really don’t know JD, it was organised to co-incide with the sitting meditation in Trafalgar square. I hope there is another one.